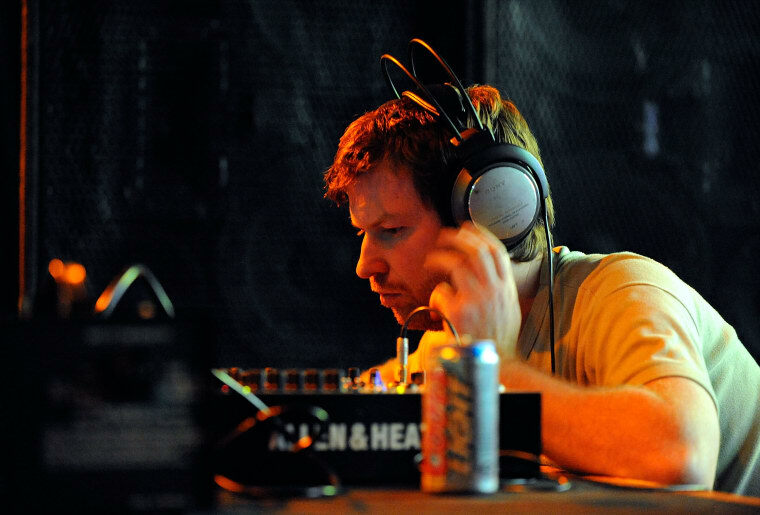 New Aphex Twin music might just be on the way. Aphex Twin is up to something. A few days ago, an optical illusion of his signature logo was plastered in London's Elephant and Castle Underground station, appearing to sink into its white bricked walls. Even more curiously, the station is located close to where the notoriously mysterious producer was rumored to live in the 90s. Today, Aphex Twin's label Warp confirmed to the Guardian that the advertisements are part of an official campaign, possibly for his long awaited seventh studio record. Last summer, he uploaded his back catalogue of rarities to Warp's website ahead of a string of rare sets at European festivals. In November, he's due to perform again in Berlin and Turin. Check out the tube advertisements below, and keep a close ear out for more from Richard James.